With the opening of the West building, the downtown waterfront has truly transformed into an inviting, vibrant community. New surrounding businesses – restaurants, attractions, and other retail – have opened; new community spaces are now available drawing residents and visitors alike; and new amenities like a float plane terminal is now conveniently located to accommodate business and leisure travellers. Looking for a place to eat and shop? There is an impressive range of cafes and restaurants in the area. 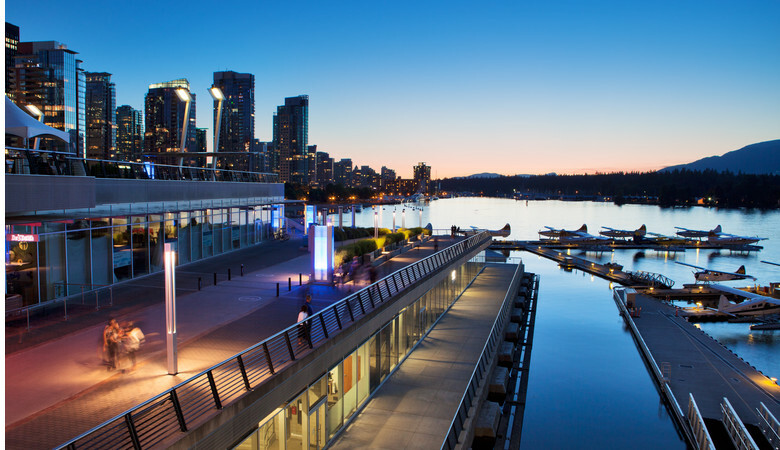 Retail along the perimeter of our West building – otherwise known as Burrard Landing at Vancouver Convention Centre West – include great restaurants with some of the city’s best patio spaces, as well as other businesses and services. 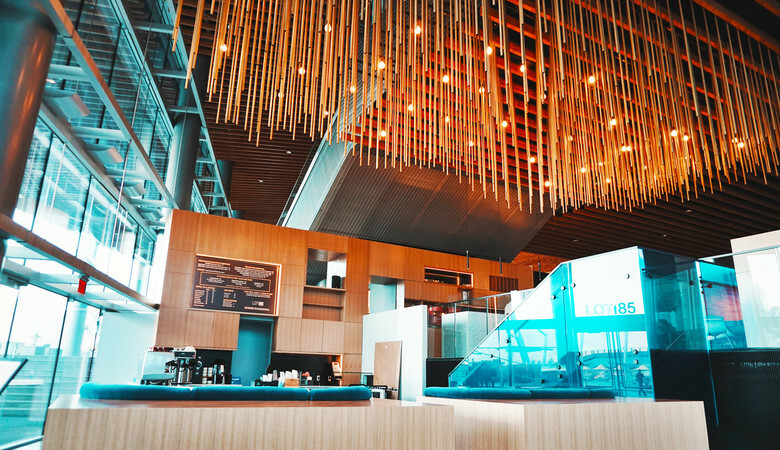 The latest offering at the Vancouver Convention Centre is LOT185 Café + Wine Bar, located in the West end of the West building (next to Jack Poole Plaza). LOT185 is downtown Vancouver’s newest coffee bar by day and wine bar by night, featuring locally-roasted coffee, fresh baked pastries made in-house, as well as tapas style small plates and a BC forward wine and craft beer list. 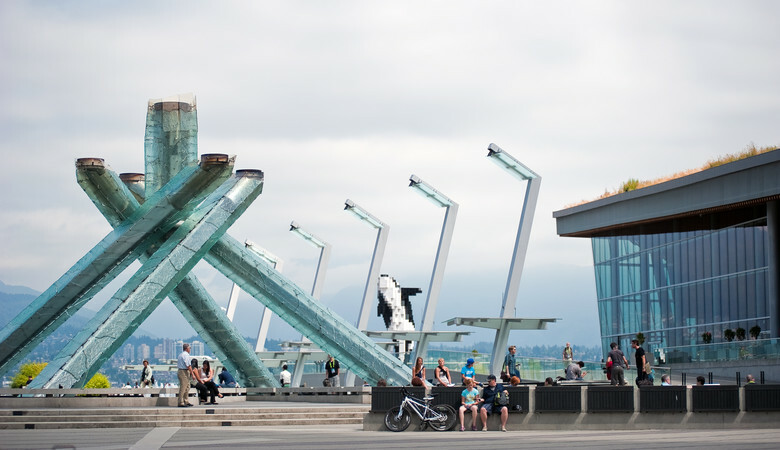 The Vancouver Convention Centre is also home to the Coal Harbour Café, located in our East building. The Jack Poole Plaza at the Vancouver Convention Centre has become the perfect community gathering area – to relax, eat your lunch or simply enjoy the beautiful harbour views. With over 120,000 ft2 (11.15 m2) of walkway and bikeway added to the waterfront perimeter of our building, you can now start your scenic stroll or ride along Vancouver’s famous seawall right outside our front doors. Looking for an activity to extend your stay? Exploring other beautiful parts of British Columbia is easier than ever. The Vancouver Harbour Flight Centre is located on the north end of our West building and offers daily flights to coastal communities in the Pacific Northwest. Tourism Vancouver’s Visitor Centre is located across the street from our West building at 200 Burrard Street. The Visitor Centre offers free information and reservations services with exclusive discounts on selected products such as attractions admissions, adventure products, sightseeing tours and lift tickets.